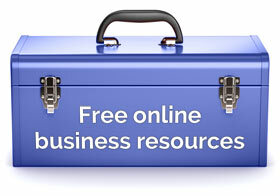 The best way to publicize your business online is with free content. 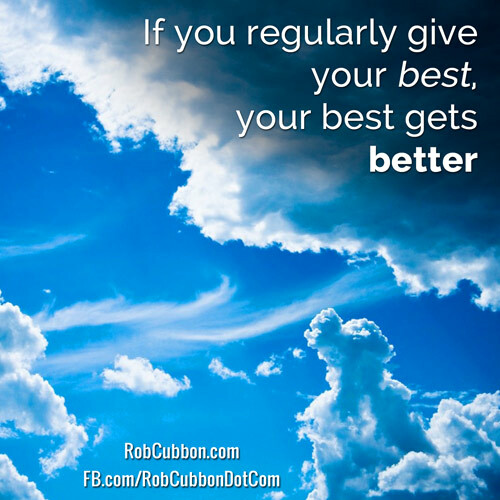 If you regularly give away your best, your best gets better. The well never runs dry. In fact it will be more abundantly replenished. I,ve got to start with blogging. Blogging gave me everything – it gave me my own business, financial independence and an ability to travel the world while earning money. Not bad, eh? Just look who blogs regularly: multi-millionaires like Seth Godin, James Altucher and Tim Ferriss. It,s good enough for them to give stuff away for free then it should be good enough for us. Blogging teaches you to create better products. It breeds creativity. Free tip: make sure you create one article of at least 600 words once a week for the rest of your life. I,m a huge fan of self-publishing and firmly believe that everyone should write a book or ten. I sell 12,000 word booklets through the Kindle store for $2.99 each. I always make use of the KDP Select free promotions where your book available for free for a few days. But, even better is to have your book permanently free on Amazon. This leads to huge downloads, email leads and goodwill. Free tip: The Universe Doesn’t Give a Flying F**k About You by Johnny Truant is a great example of how a perma-free book can be a massive springboard for your business. Start a podcast. All podcasts are freely available through apps like iTunes and Stitcher Radio. You,d be fairly crazy to charge for a podcast. The benefits of podcasting are numerous. You,ll receive goodwill for your great free content, you will get shares and links from the people you interview plus great relationships with your interviewees as well. Free tip: podcasting is a huge so make sure you,re in it for the long haul. Don,t do what I did when I failed at podcasting and ran out of episodes. A webinar is an online broadcast, typically an hour long, where webinar hosts and guest present information using audio and visuals (sometimes slides) live to an audience. The audience is usually allowed access to the free webinar via an email exchange. Webinars are often used as a lead generation tool. At the end of the webinar,s presentation, which was hopefully packed full of useful information, the audience is offered a premium product. Free tip: Software such as GoToWebinar, AnyMeeting, etc., is used to host the webinar. Do you agree? If so, share. The way we consume information is changing. Very often if we want to know how to do something we turn to YouTube rather than Google. More people should do video (and I should create it more regularly). And more people would create video if they knew how easy it is. Create lively and helpful videos of less than 5 minutes and upload them to a YouTube channel. And keep doing it. You can also add these videos to a variety of other platforms like Vimeo via OneLoad. Share the raw video files on Facebook because Facebook hates YouTube. Free tip: It,s very likely that you have a sophisticated HD video recording device within arm,s reach of you right now – your phone! You can also record screencasts and presentations with software like ScreenFlow or Camtasia. Lapel mics, tripods and lighting are all easily available and very cheap. OK, so I can hear you say, “I,m be-jiggered if I,m going to invest thousands in a iPhone app just to give it away”, but the greater the quality and value of what you give away, the greater the benefit to you. I created a web design questionnaire to aid communication between web designers and their clients using the super easy GravityForms plugin for WordPress. It didn,t take too long to create. Free tip: your free app needn,t be a long, expensive nightmare to create. You can use some excellent online platforms to create apps. Everyone takes photos. Not everyone takes good ones. Offer your photos under a Creative Commons license. There are several different Creative Commons licenses, for example “Attribution” which means you let others copy, distribute, display and perform your copyrighted work but only if they give you credit. This will get you goodwill amongst bloggers looking for free imagery and, more importantly, it will get you links. Free tip: Flickr, PhotoPin and Compfight are great resources for images distributed under Creative Commons licenses. Audio books are the new e-books. These days we are so hungry for information and yet have so little time to ingest it. One answer to this quandary is the audio book. I have certainly listened to more books in the last two years than ever before. Audio books are actually quite expensive on Amazon,s Audible site so giving them away is a great idea. Free tip: A great idea from Chandler Bolt is to offer a free audio version of a Kindle in the actual Kindle as a lead magnet. A lead magnet is a free gift (typically an e-book but it doesn,t have to be) that is given away for free BUT you need to submit your email address in order to receive this gift. The lead magnet or offer should be of high value to the target market. If the target market is entrepreneurial a lead magnet entitled: “10 new business ideas to earn you an extra $4000+ a month” may be a good offer in exchange for an email address. Email marketing is currently the most effective form of online marketing so your lead magnet is extremely important. Free tip: Try offering quick and valuable lead magnets like “Seven tools for traffic generation” or “Eight business ideas for your next side hustle” – this may be one-page PDFs so quick and easy to create. The whole point of free content is to get more interest in your paid content. The most effective way to journey visitors from free to paid is email marketing. So, don’t forget to collect email addresses and, when you’re collecting them, don’t forget to email them. A newsletter is essentially free content as well. Free tip: 60-70% of your emails should be nothing but free and valuable content. 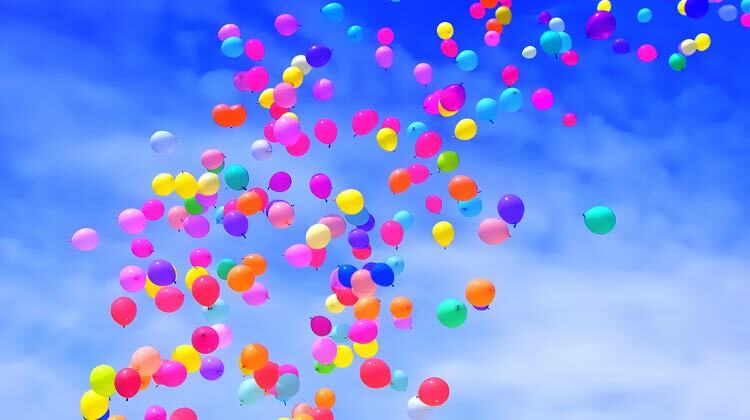 The rest can be sales emails and if done correctly – interspersed with free content – these sales emails will convert better than any ad campaign. You can do it – regularly! You can grow your business and online brand by giving away awesome free content. However, it’s important to do this all regularly. Make sure you don’t take on any of the above without the ability to keep doing it consistently. It’s a waste of time otherwise. Keep on giving your best work away for free. Happily impart your knowledge with an abundant mindset and you will be rewarded handsomely. These are good tips. One of the most important things you mentioned in my opinion is the fact that anything on this list you undertake you must be able to do regulkarly. Performing these actions regularly is the key to garnering consistent followers. Hey Nick, absolutely, regularity is key. Rob, you are SPOT ON evidence, your being, of how giving freely precedes receiving easily my friend 😉 Fab post, fab message and fab example you share in your person because you give as much as anybody, and get quite o bit too! I offer some of the above content: I publish one eBook weekly, from 8 K to 15 K words, and I offer these free more and more thru Kindle promos. I publish one free, 5,000 word blog post most weeks. I publish a free weekly podcast. I offer free advice through in-depth comments on OBB’s; Other Blogger’s Blogs. Not a reference to a Naughty By Nature song LOL. As I give I get. Some hold back, and don’t get much. I intend to give a bit more each day to share my talents freely and yes, book #26 is being published on Amazon soon, and I’ll offer it as a freebie for 5 days to keep spreading the word, to keep helping folks, and to over deliver as a champion. We all have much to offer now. Learn your craft, shoot videos and yep, you’ll prosper. Forgot to note; I publish a 1080 HD video every week too. Gotta upload that bad boy now because it takes a while with this OFF THE GRID connection in the jungles of Bali lol. Think of how you can help, and give it away for free. Then, help by offering paid products and services. That meld works so darn well. Thanks Rob! Keep on inspiring my man!! Ryan, you crack me up, dude. That right there is what I’m talking about. You’re freely giving with that amazing comment. And I’m delighted to hear you’re moving into books and video. That will be so good for you – and other people! Thank you Anja. I’m sure blogging does really help you become a better writer and a better product creator. All good stuff, as usual. Agree about the consistency factor. Nothing dismays me more than inconsistency. If I start follow some podcast or blog I expect it to continue. All these are great and working ideas . All are relatively easier than podcasting . awesome mentoring as usual ,Rob. This is quite helpful. Many thanks. Always great advice, Rob. How do you have a permanently free ebook on Amazon? Great information and tips Thanks Rob! Congratulations and much success! I see free with Kindle unlimited, $2.99 to buy ebooks. Love this to the point and insightful post! Keep up the good work Rob. I would add that you can also give away online courses if you’ve replaced them with better material or want to test out your online course with a few subscribers.